There is a great fare that popped up today from NYC to Montevideo, Uruguay on Copa airlines for 374$ round trip. Many dates seem to be available at the moment, but I doubt this price will stick around for long. You can try a flexible date search on ITA to see what dates are available. 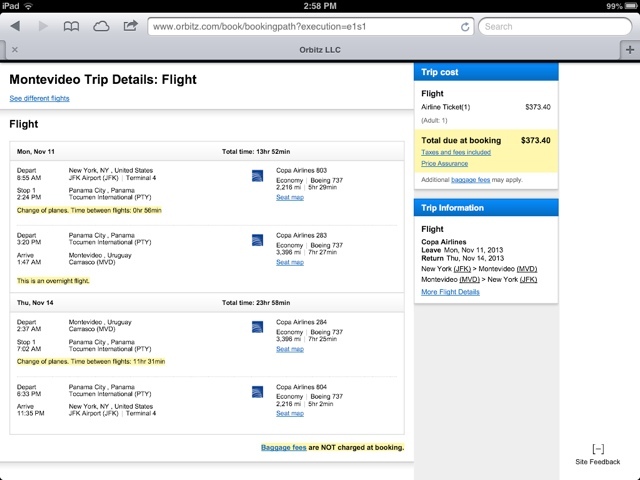 Once you've found dates that work, you can plug them into another booking site like Expedia, Orbitz, Travelocity, etc. Copa is a member of star alliance meaning that flights can earn you miles on United or USair.